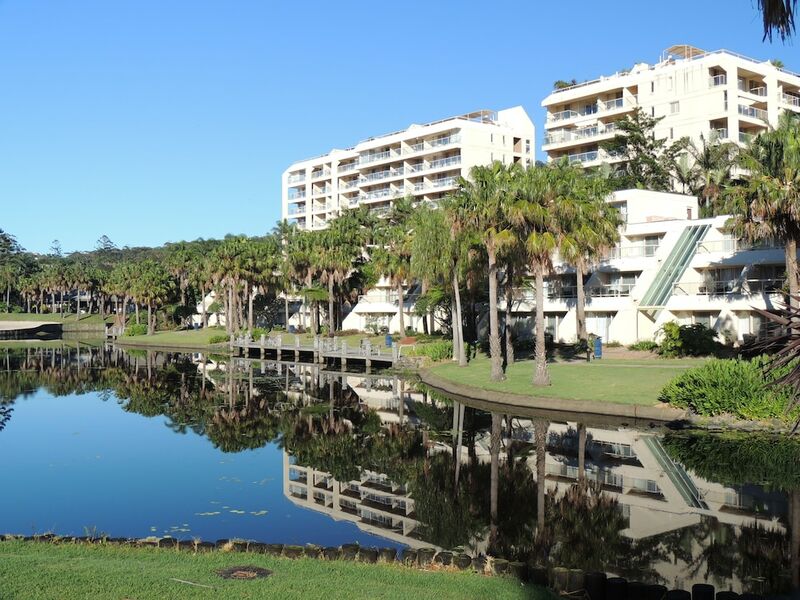 With a stay at Charlesworth Bay Beach Resort in Coffs Harbour, you'll be near the bay, within a 15-minute walk of Diggers Beach and Big Banana Fun Park. This 4-star hotel is 2 mi (3.2 km) from Park Beach and 2.8 mi (4.5 km) from Dolphin Marine Magic. Make yourself at home in one of the 52 air-conditioned rooms featuring refrigerators and flat-screen televisions. Rooms have private furnished balconies or patios. Bathrooms have complimentary toiletries and hair dryers. Conveniences include microwaves and coffee/tea makers, and housekeeping is provided once per stay. Relax at the full-service spa, where you can enjoy massages. After practicing your swing on the golf course, you can dip into one of the 3 outdoor swimming pools. Additional amenities at this hotel include babysitting/childcare (surcharge), an arcade/game room, and a picnic area. There is no front desk at this property. To make arrangements for check-in please contact the property ahead of time using the information on the booking confirmation. Guests will receive an email with special check-in instructions, lock box codes, and related information prior to their arrival. For more details, please contact the office using the information on the reservation confirmation received after booking.